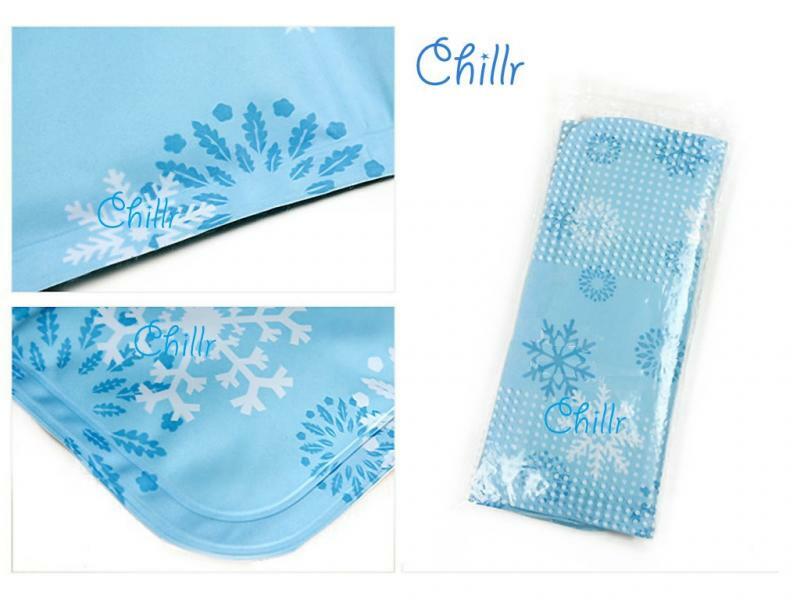 The Chillr cooling mat reduces body temperature by up to 7°C and lasts for up to 6 hours, depending on the surrounding temperature. The cooling mat is filled with phase-change material (PCM), which melts into liquid gradually while absorbing heat from the human or pet body. The PCM re-crystallize naturally when the cooling mat is kept in a cool place less than 25°C. More information regarding phase change material can be found on Wikipedia. Chillr cooling mat is suitable for small animals, cats, dogs and humans. Available in two sizes.